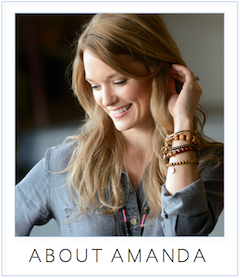 amanda mcclements & metrocurean: Mark Your Calendar: Food Fight! Mark Your Calendar: Food Fight! OK, so maybe not a real food fight, but a water balloon fight channeling the spirit of a food fight. It's hot, tomorrow marks the start of Washington's favorite month to hate, and boredom is seeping across the city. That's why I got excited when I read about Jaleo's "La Tomatina" water balloon fight, scheduled for Aug. 24 at the Penn Quarter FRESHFARM Market. The fight, part of the restaurant's Aug. 14-27 La Tomatina festival, pays homage to a giant tomato slinging party (see photo) that takes place the last Wednesday of August in the small Spanish town of Buñol. Thousands of people descend on the town and proceed to hurl 300,000 pounds of ripe tomatoes at one another, leaving the streets covered in red pulp. Sounds a lot better than running with the bulls in Pamplona. We won't be so lucky back here in civilized D.C., but a $10 entrance fee will arm participants with water balloons and a "La Tomatina" t-shirt. The battle will get started around 6:30 p.m.
During the festival, all three Jaleo locations will offer a $32 four-course tomato tasting menu that comes with a "La Tomatada" drink. Also on Aug. 24 (but preferably not after you've attended the water balloon fight), the Crystal City Jaleo will feature a five-course tomato dinner paired with Cava, priced at $75. Call (703) 413-8181 for more info.